‘Golden Oldie’ – Signature sea salted caramel centre in a Madagascan 50% milk chocolate shell. 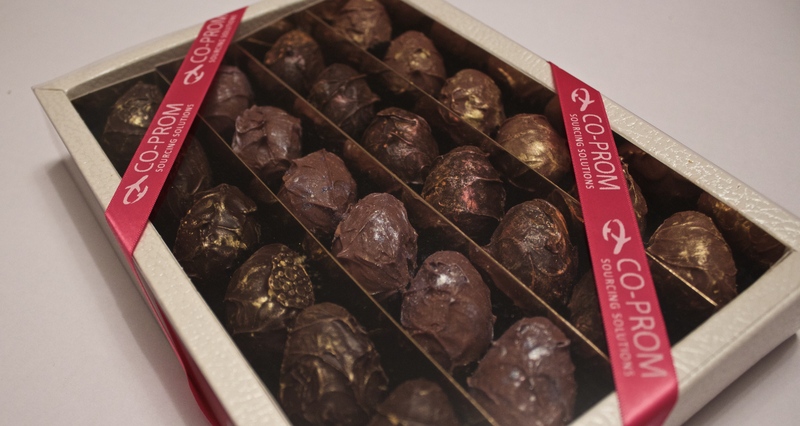 ‘Golden Oldie Midnight’ – Sea salted caramel centre in a Colombian 85% dark chocolate shell. ‘Dark Tangerine’ – Earthy Colombian origin chocolate centre with a touch of tangerine in a Colombian 85% dark chocolate shell. ‘Toasted Cream’ – Rich milk chocolate centre with toasted cream and toffee notes in a Madagascan 50% milk chocolate shell.